Equity Linked Savings Scheme (ELSS) is the best tax saving (Section 80C) investment option for investors looking to create long term wealth. In our blog, we have discussed the benefits of ELSS a number of times (please see our post, ELSS is simply the best investment for tax savings and wealth creation), but for the benefit of our readers it will be useful to recap the key benefits. As an investment class, ELSS is one of the best performing equity mutual fund categories. It has outperformed diversified equity mutual funds across most time scales. The chart below shows the trailing annualized average returns of ELSS versus diversified equity funds categories across different time scales. ELSS did not just beat diversified equity mutual funds in terms of average category returns; it also beat diversified equity funds in terms of most other category parameters like maximum return within category, minimum return within category and median category returns (please our Mutual Fund Category Returns too). In a series of posts over the last 2 months we have reviewed the top diversified equity and midcap mutual funds for investment in 2016. In continuation of that series, in this post we will discuss the top 3 Equity Linked Savings Schemes (ELSS) based on CRISIL’s latest mutual fund ranking (for the quarter ended March 2016). CRISIL ranks equity funds based on several parameters like average 3 year annualized returns, volatility, portfolio concentration risk (both industry and company) and portfolio liquidity risk. Each of the ELSS equity funds in our selection has been assigned either Rank 1 or 2 by CRISIL. In addition to CRISIL ranking we have applied a secondary filter based on our own research. Our secondary filter is based on quartile ranking. Quartile ranking is an analytical tool which measures of how well a mutual fund has performed against all other funds in its category. From the CRISIL top ranked ELSS funds, we have selected only those funds, which are currently ranked in the top quartile based on trailing 3 year returns. Further, in order to see performance consistency, we have limited our selection to funds, which were in the top quartile in the previous two quarters as well (please see our quartile ranking tool for ELSS funds). Based on CRISIL ranking and our quartile ranking, we were able to identify three top performing ELSS funds, Axis Long Term Equity Fund, Birla Sun Life Tax Relief 96 and Birla Sun Life Tax Plan. Since, we had two Birla Sun Life ELSS funds in our selection as per the criteria discussed above we decided to select only one out of the two. Given the longer performance history, lower expense ratio and higher relative ranking assigned to it by CRISIL, we selected Birla Sun Life Tax Relief 96. In addition to these three funds, we looked at other possible ELSS funds which were ranked 3 by CRISIL, but were ranked in top quartile among ELSS funds for 3 consecutive quarters and also highly rated by other research firms (like Morningstar and Value Research). Based on our quartile ranking and rating of research agencies, we identified one more fund, Reliance Tax Saver Fund, for our selection of Top ELSS funds for investment in 2016. We then compared the performance of Reliance Tax Saver Fund with that of the two funds selected earlier (Axis Long Term Equity Fund and Birla Sun Life Tax Relief 96) for consistency of returns and also performance in varying (rising and falling) market conditions, over the last 5 years. For measuring performance consistency we used rolling returns. To get a sense of performance in both rising and falling markets, we used market capture ratios. Based on both these measures, we have seen that Reliance Tax Saver Fund is there in the mix with the two other funds, which strengthened our conviction about this ELSS fund, as one of the top ELSS investing ideas in 2016. The chart below shows the 3 year rolling returns of Axis Long Term Equity Fund, Birla Sun Life Tax Relief 96, and Reliance Tax Saver Fund, over the last 5 years. We used 3 years as the rolling returns period, because ELSS funds have a lock-in period of 3 years. We encourage investors to use our rolling returns performance comparison tool to compare relative performance of multiple mutual fund schemes. Rolling returns is the best measure of a fund’s performance consistency. Trailing returns have a recency bias and point to point returns are specific to the period in consideration. Rolling returns, on the other hand, measures the fund's absolute and relative performance across all timescales, without bias. Coming back to the Top 3 ELSS funds, you can see that all the 3 funds have consistently beaten the broader market benchmark, CNX 500, by a significant margin over the last 5 years. Axis Long Term Equity Fund has an edge in terms of performance consistency, but the two other ELSS funds, Birla Sun Life Tax Relief 96 and Reliance Tax Saver Fund have also delivered exceptionally good rolling returns. You can also see in the rolling returns chart above that, the 3 year rolling returns of the 3 funds are on a converging trend. Further, all 3 funds, have delivered more than 20% 3-years rolling returns, nearly 95% of the times in the last 5 years; truly exceptional performance. Investors should always remember that, conditions in equity markets are constantly changing affecting the asset prices; volatility is an intrinsic characteristic of equity as an asset class. While, volatility is a function of investment horizon and decreases as the horizon lengthens (please see our post, How Investing in Equities for the long term reduces risk), anecdotal evidence shows us that, fund managers who were able to outperform the market when it was rising and at the same time protected against downside when it was falling, were able to give superior long term returns. Market capture ratios are statistical measures which tell us how a fund manager performs against the benchmark in up (rising) and down (falling) markets. We have developed Market Capture research tool recently and we encourage investors and financial advisors to use this tool, to get sense of how the fund manager did in varying market conditions. Up market capture ratio tells us, by how much, on an average, the fund manager was able to beat the market benchmark, when the market was rising. Down market capture ratio tells us, by how much, on an average, the fund manager was able to prevent downside in falling markets. The table below shows the market capture ratios of, Axis Long Term Equity Fund, Birla Sun Life Tax Relief 96 and Reliance Tax Saver Fund, over the last 5 years. Up Market Capture Ratios above 100% are good, because it means that, the fund manager was able to beat the market, when it was rising. Down Market Capture Ratios below 100% are good, because it means that the scheme NAV did not fell as much, when the market fell. Negative down market capture ratio is exceptionally good performance, because it means that, the fund gave positive returns, even when the market fell. You can see in the table above that, the up market ratios of all the 3 top ELSS funds are very good. The down market capture ratios of all the funds, except Birla Sun Life Tax Relief 96, were also great. We checked the down market capture ratio of Birla Sun Life Tax Relief 96 over the last 3 years (please check Market Capture Ratios over the last 3 years) and found that it was well below 100% (down market capture ratio of Birla Sun Life Tax Relief 96 was around 50%). The table below shows the rankings and trailing returns of the Top 3 ELSS Funds over different time-scales. Let us look at some other key statistics, like launch year, Assets under Management, Expense Ratio, Volatility (measured in terms of standard deviation of monthly returns) and Sharpe Ratio (a measure of risk adjusted returns) of these Top 3 ELSS Funds. We have discussed in our blog before that, SIP is the best mode of investing in ELSS funds for a number of reasons. The table below shows the returns of र 5,000 monthly SIP in the top 3 ELSS funds in the last 5 years. You can see that, investors would have excellent returns, north of 20% on a compounded annual basis, by investing in these ELSS funds through SIP. ELSS is one of the best tax saving investments for investors looking to create wealth in the long term. 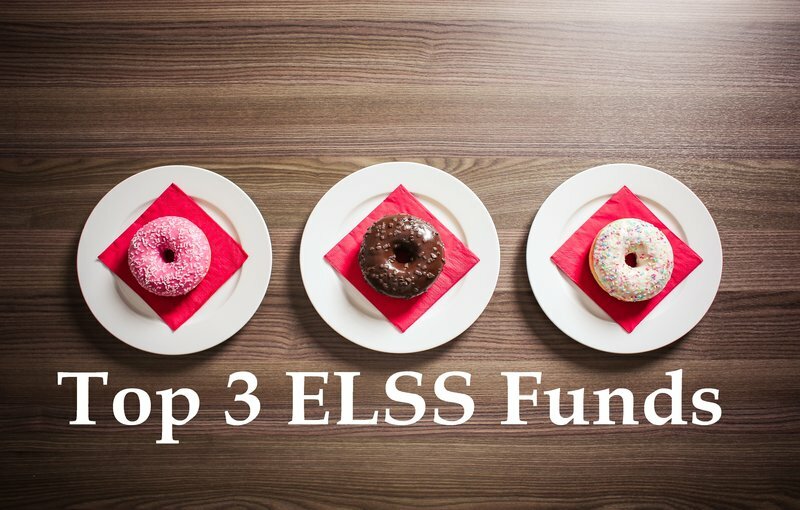 In this post, we have reviewed the Top 3 ELSS Funds for tax saving in 2016. Investors should consult with their financial advisors, if these funds are suitable for their tax saving and investment objectives.